You think a four hour ride is just a warm up and you're not afraid to spend all day in the saddle. You also know that getting caught 15 miles out without spare tubes or a windbreaker can be a major hassle. 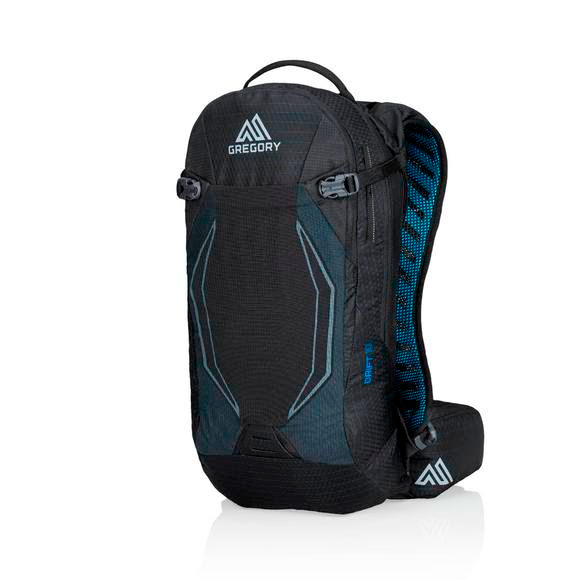 Gregory's Drift 10 is your pack: light and nimble enough for everyday rides, but capable of cramming an epic day's worth of snacks and gear on the weekend. You think a four hour ride is just a warm up and you&apos;re not afraid to spend all day in the saddle. You also know that getting caught 15 miles out without spare tubes or a windbreaker can be a major hassle. Gregory &apos;s Drift 10 is your pack: light and nimble enough for everyday rides, but capable of cramming an epic day&apos;s worth of snacks and gear on the weekend. No matter what you&apos;re carrying, the Drift stays stable and smooth the whole time thanks to the custom fit of Shift RS suspension. Measurements 18.5" x 9.0" x 6.0"